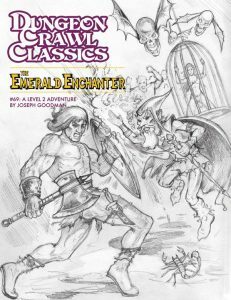 The Emerald Enchanter was one of the initial modules released when the DCC RPG rules first came out. 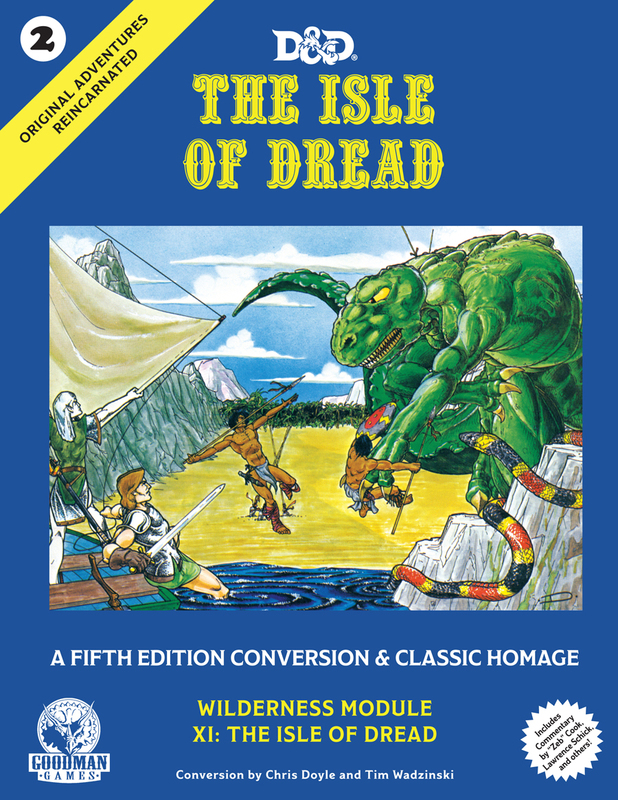 Written by none other than the Dark Master Joseph Goodman himself, the module takes adventurers into the stronghold of a wizard who is performing strange magical experiments on the folk of their home village. 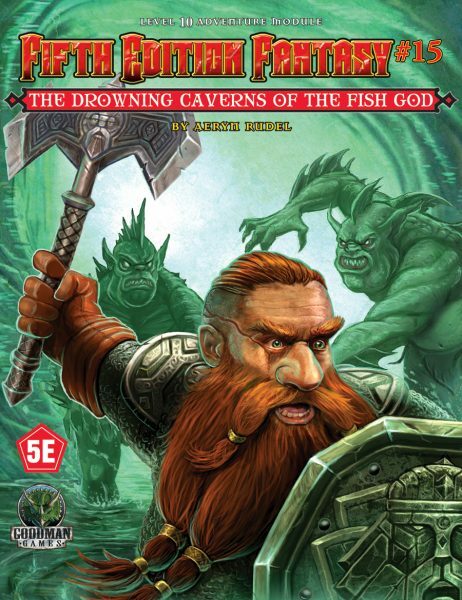 A dungeon crawl in the truest sense, the introductory text plunks the party down right at the door of the Emerald Enchanter’s lair, and the quest ends when the villain is defeated (or when the party is all dead, of course. This is DCC after all!) DCC modules aren’t known for their extensive back stories, but The Emerald Enchanter has even less than most. 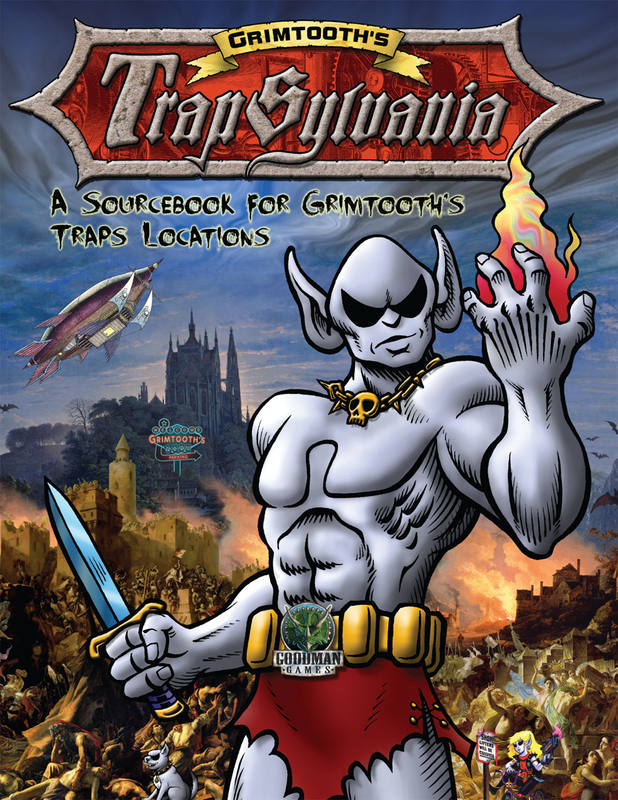 Joseph says this is “partly style – I really like adventures to be completely stand-alone – and partly because this was a really early playtest adventure. 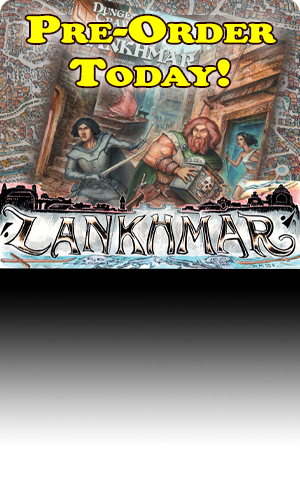 I was running lots of one-off games at cons and stores, and I was mostly concerned with testing rules as opposed to making an adventure.” But don’t let that fool you into thinking the adventure is somehow lacking. 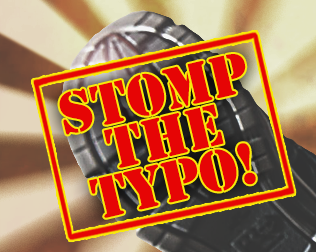 It’s that much easier to drop into any campaign, and it’s still plenty entertaining. 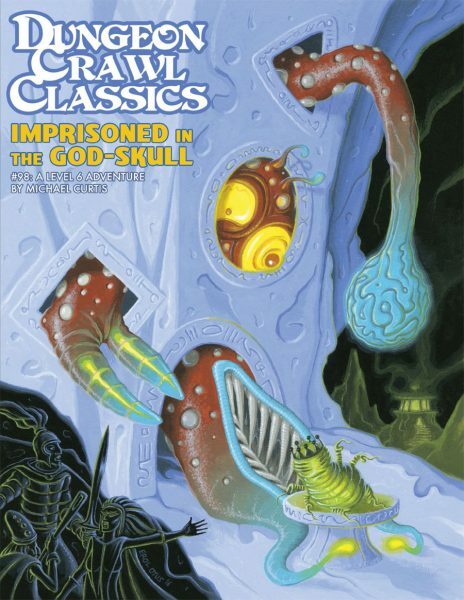 In addition to the titular enchanter, the adventurers face off against emerald automatons, alien extra-dimensional beings, and perhaps the best reemembered threat of the module: flying emerald skulls. 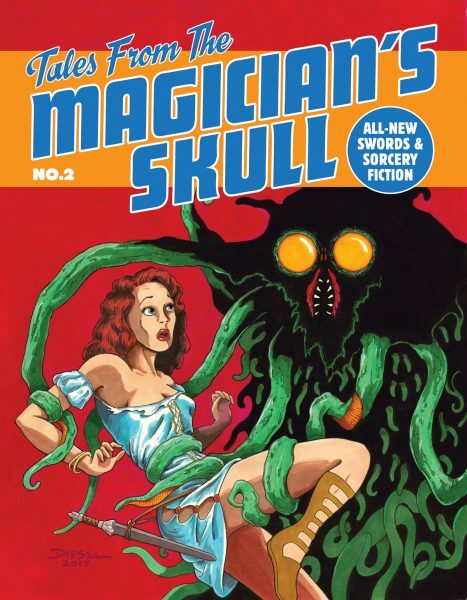 “All the original pulp novels feature skulls as iconic imagery. I collect books on pulp novel art, and you just can’t get away from the constant depictions of skulls. In general I was trying to think of ways to make skulls more interesting, not ‘just another talking skull’. Hence the one set of flying skulls – not JUST flying, but also emerald! – and another giant skull embedded in a wall and able to shoot lasers,” says Joseph. 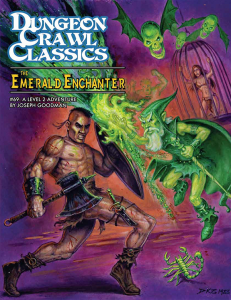 Despite these elements, some players feel that the earlier DCC RPG adventures, including The Emerald Enchanter, aren’t as boundary-stretching or genre-bending as a lot of the more recent ones have been. Or in the term that some people have used, they’re not as “gonzo“. But Joseph doesn’t see DCC RPG as gonzo at all. 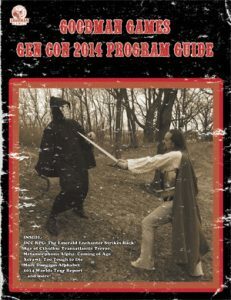 The Gen Con 2014 Program Guide, featuring The Emerald Enchanter Strikes Back by Jobe Bittman. That adventure became The Emerald Enchanter Strikes Back, first published in the Gen Con 2014 Program Guide. It was later reprinted in a very limited run of The Emerald Enchanter sketch cover for Gary Con 2016. The Emerald Enchanter is available in print with the color cover, coming soon with the sketch cover, and downloadable as a PDF. The Gen Con 2014 Program Guide containing The Emerald Enchanter Strikes Back is available in print or in PDF.